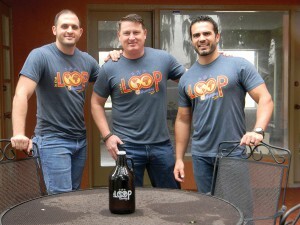 Mark Pizzurro, Joe Traina and Peter Abreut anticipate opening their craft brewery in Land O’ Lakes in spring. By spring, a garage hobby will become In the Loop Brewing with an on-site brewery, tap and tasting room, and nearly 7,000 square feet for an outdoor beer garden. The brewery, tap and tasting room will open first, with the beer garden opening later on. Abreut and partners, Mark Pizzurro and Joe Traina, are busy renovating a former residence at 3338 Land O’ Lakes Boulevard. The two-story house is next door to a building that houses Interior Elegance and Abreut’s gym, Crossfit En Fuego. The upstairs can be rented for private parties or special events such as birthdays, weddings and office parties. A former single-family home on Land O’ Lakes Boulevard is being renovated for a tap and tasting room. In the Loop Brewing will be next door to Interior Elegance and Crossfit En Fuego. A shed on the property will be converted into the brewery. An outdoor patio, decks, an inside/outside serving window and landscaping will complement the beer garden. Noise will be kept at a minimum, Traina said, with low-level background music for the beer garden. “It’s very community oriented,” he said. “That’s our goal. Everything is coming into place. A Portland-based company is delivering brewing equipment. The Pasco County Commission, in January, approved the brewery’s beer and wine licenses. A federal license to brew beer is expected soon. 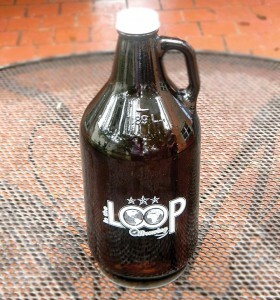 An In the Loop growler sits on a table on the patio of a former residence that is being renovated as a tap and tasting room for In the Loop Brewing. Three years ago Big Storm Brewing, located in Odessa, was Pasco’s only craft brewery. 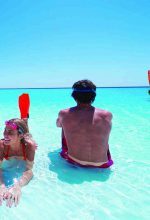 “For years you’d seen nothing of this kind of thing,” Traina said. Pasco now is seeing a burst of new breweries. The vacant ClassB screen-printing business in downtown Zephyrhills will soon open as Zephyrhills Brewing Co. Pasco County commissioners also approved a beer and wine license for Rebel Dog Brewing Co., in New Port Richey. According to 2014 data from the Brewers Association, Florida ranked ninth nationally in numbers of craft breweries, with 111 locations. The state held the fifth spot in production at 1.1 million barrels of craft beer. Pizzurro is head brewer among the partners. In addition to home brewing, he served as an intern at Big Storm for about a year. In the Loop’s beer selections so far include an IPA, American pale ale, a Vienna lager and farmhouse ale. It is a true partnership, however. Everyone can contribute on beer recipes. Abreut is skilled in marketing; Traina in sales. “We all bring something to the table,” Traina said. And, they take pride in bringing a unique experience to Land O’ Lakes. More information about In the Loop Brewing can be found on their Facebook page. Filed Under: Top Story Tagged With: Big Storm Brewing, Brewers Association, Cherbourg Loop, Crossfit En Fuego, In the Loop Brewing, Interior Elegance, Joe Traina, Land O' Lakes, Land O' Lakes Boulevard, Mark Pizzuro, Mike Moore, New Port Richey, Odessa, Pasco County Commission, Peter Abreut, Rebel Dog Brewing Co., Zephyrhills, Zephyrhills Brewing Co.